One of the hardest tasks of parenting is recognizing that your child does not exist to validate you. That means acknowledging that your child is a separate person, with talents, interests and needs that do not have to mirror yours. It means that your son does not exist to achieve your dream of baseball stardom. It means that your daughter’s learning disability should not be ignored for fear that others will label her and thereby you as not perfect. And it means that your child should never, under any circumstances, be identified by whether or not HIS birth was the birth of of YOUR dreams. Just in case you were still wondering whether Gina Crosley-Corcoran is really a narcissist, even after she lives blogged her homebirth and only allowed her sycophants to comment on it (Feminist Breeder doesn’t kill baby; supporters dazzled), Gina helpfully demonstrates that in her mind, it really is all about her. What is wrong with this woman? Her 3 year old did not give her anything. 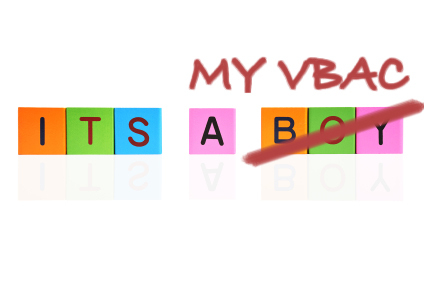 Without ever consulting her child, she chose to risk HIS life by attempting a VBAC. Fortunately, it was successful, but the reality is that she put HIS life at risk in attempting to fulfill HER dream. These paragraphs couldn’t have more “I’s” and “me’s” if it had been about her. Oh, wait, Gina thinks is about her. No doubt this will come in really handy for her child’s therapist when he is an adult. It’s one thing to tell your therapist that your mother is a narcissist, that she sees everything through the prism of her own needs. It is another thing altogether to be able to provide permanent documentary evidence that she couldn’t even celebrate your birthday without repeatedly referencing herself, her needs, and whether they were or were not met. As the therapist will be able to explain, Gina considers this child as the one who allowed her to “settle the score” when deprived of a vaginal delivery with her first child. And by “giving her” a hospital VBAC, the child allowed her to have a homebirth and allowed her to take her self-obsession to masses, live blogging what most people consider to be an intimate moment. Gina, take a long, hard look at yourself and the way that you treat your children. It’s okay to want attention; it’s okay to have needs and try to get them met. However, it is not okay to view your children through the prism of those needs, particularly the desperate needs you seems to have for attention and for validation. Your son did not “gift you” with a VBAC, and your daughter did not “gift you” with a homebirth. And most importantly, your eldest child did not fail to “gift you” with the validation that you crave. They were born, through no agency of their own and with no intention to meet or not meet your needs. It is wrong, wrong, wrong to expect your children to serve your needs. Adults should look to other adults for attention. And when it comes to validation, adults should enter therapy if they feel they lack the inner resources to provide their own validation. Talk to your husband, talk to your friends, talk to a therapist. Don’t talk to your children about your needs and absolutely, positively do not create a permanent, written record of whether or not they met your needs (which is not their job, in any case). Your children are not here to meet your needs. You are here to meet THEIR needs. Their number one emotional need is to be valued for who they are, not what they’ve done for you lately. And next year, when your son celebrates his 4th birthday, see if you can celebrate with him, instead of celebrating yourself at his expense. His birthday is about him, not about you. The sooner you learn that, the better for all your children. ← Baby’s position wasn’t the problem; problem was the baby’s head became stuck.